Lights, cameras and action. That’s what you’ll find when the Volvik World Long Drive Championship returns to WinStar this September. 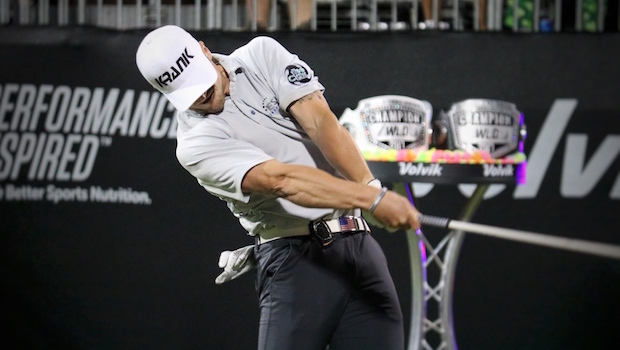 For one week, the most powerful long drivers on earth will convene on the grid at WinStar Golf Club to vie for the title of 2018 Volvik World Long Drive Champion. Last year we saw Justin James crush a 435-yard drive on the way to his first World Championship, and Sandra Carlborg solidify her place as the most decorated women’s long driver of all time. 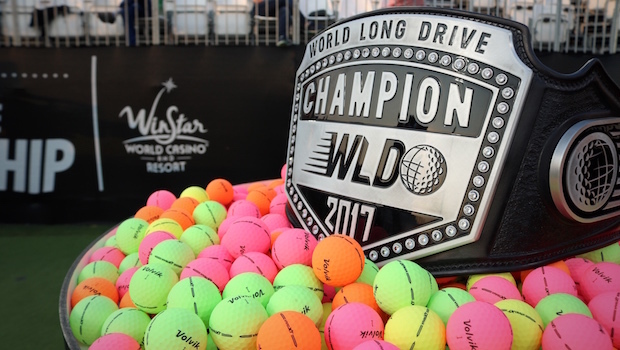 This will be the fourth consecutive World Long Drive Championship event to be held at WinStar Golf Club. The event is open to the public and admission is free, so there’s no reason for you not to check it out. The event begins on Aug. 30, with 32 players competing, and concludes on Sept. 5, with a champion reigning in both the male and female divisions. The Women’s and Men’s Division Championship and Open Division Championship will be televised on Golf Channel Sept. 4 and 5. In 2017, the WLDC was televised in nearly 80 countries around the world as James and Carlborg claimed their respective World Championship belts. This year is your chance to be a part of this one-of-a-kind sporting event. While golf equipment is used, you don’t have to be a golf pro to appreciate the strength and dedication of the players in this event. You can even enjoy food trucks, giveaways and live music, so don’t miss your chance to be a part of the action this fall. Head to WinStar for Labor Day and stay through Wednesday for this fascinating experience. Book your stay at the WinStar World Casino Hotel and plan to practice your own swing at the WinStar Golf Academy. While you’re here, enjoy amazing performances, win at our popular games and relax in our luxurious hotel rooms.